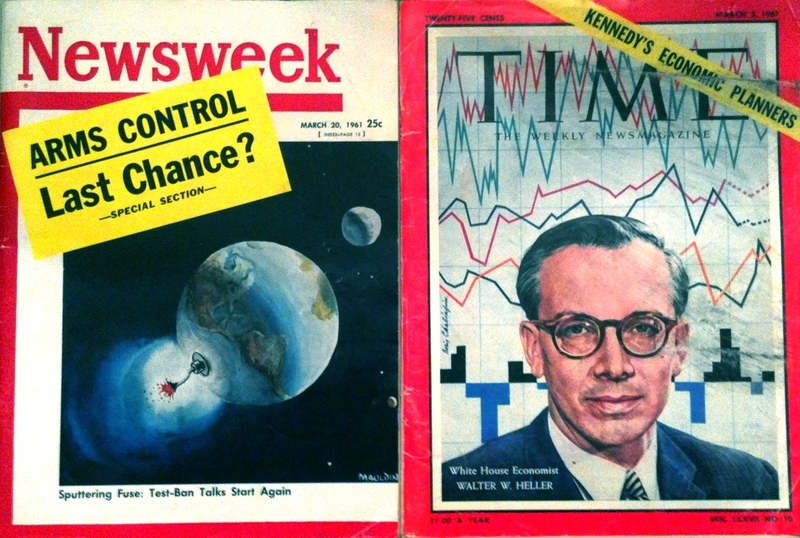 Among the cultural artifacts I unearthed at my mother’s house during recent preparations for a yard sale were issues of Time and Newsweek from March, 1961. The Newsweek cover is especially fantastic. The bleak picture painted in today’s media environment when one watches the news or reads a periodical steeped in world affairs is sometimes apparent. However, for all the alleged hysteria of cable news outlets and sensational publications, we at least don’t routinely use imagery like planet Earth as a bomb with a lit fuse! Living under the constant threat of nuclear annihilation is one thing, but ramming the message “YOU’RE ALL ABOUT TO DIE!” down the public’s throat in such a way doesn’t seem constructive. I guess provocative Newsweek covers are nothing new. Curious about the significance of the magazines, I asked my mom to explain why we had them. 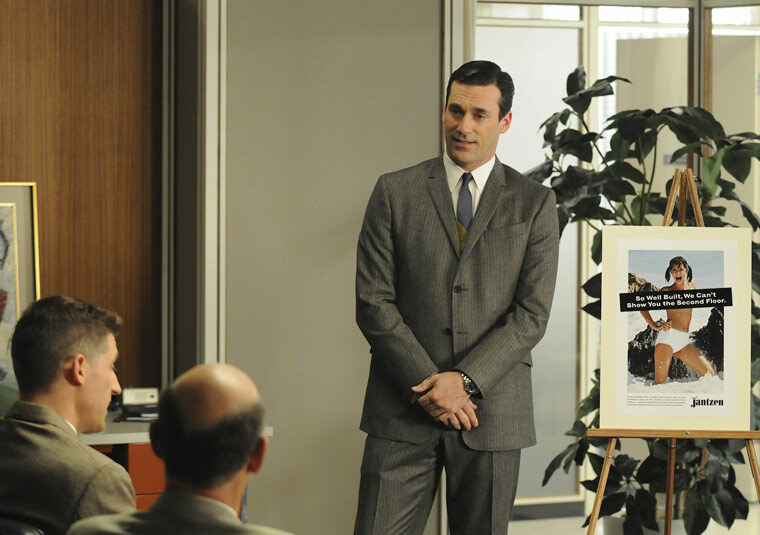 She pointed out that each contained an advertisement that featured my then-24-year-old father (on the right). The advertisements, smartly entitled “Doctor of Tomorrow,” promoted the A. H. Robins pharmaceutical company based in Richmond, Virginia. 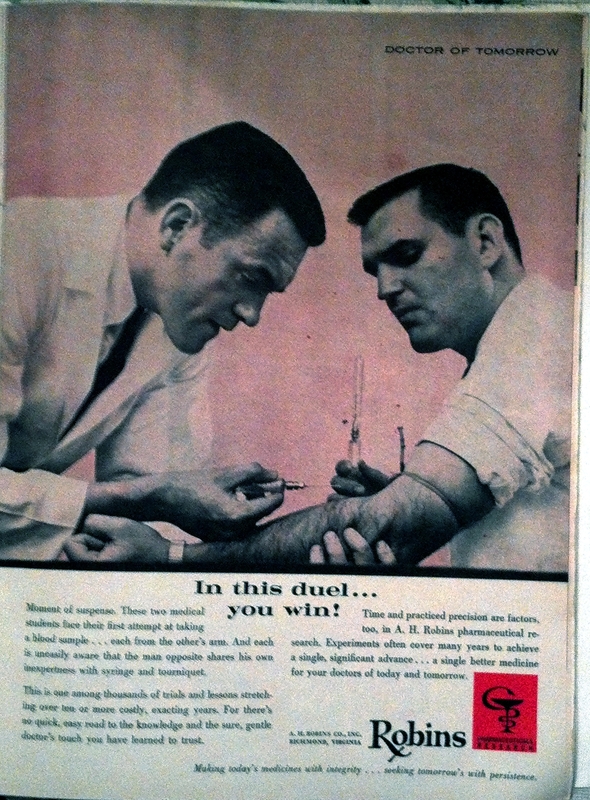 The premise of the copy was that my father and the other man pictured in the ad were medical students practicing the art of drawing blood samples. The ad makes the point that it takes many years for a medical student to become a quality doctor, then segues into a comparison about how the pharmaceutical industry takes years of research to develop quality medication*. Neither of the people pictured in this advertisement were doctors or even medical students in real life. Apparently (according to my mom), it was illegal at the time for actual medical professionals to appear in advertising of any kind. Hence, this policy created the need for miscellaneous folks like my dad to serve as fake students to drive home a selling point about the relationship between seasoning doctors and researching medical breakthroughs. *Note again that Robins ordered this ad in 1961, before a significant portion of the population decided that pharma companies were, like, evil, man. This entry was posted in Commentary, General Culture and News and tagged 1960's, A. H. Robins, Advertising, Commentary, General Culture and News, Newsweek, Pharmaceuticals, Time Magazine. Bookmark the permalink.